We had another windy day today. In fact, it was probably even windier than the day the artifact blew away. We didn’t try to excavate or even dig STPs, since odds were that notes, baggies, artifacts and all would have been heading for Canada. 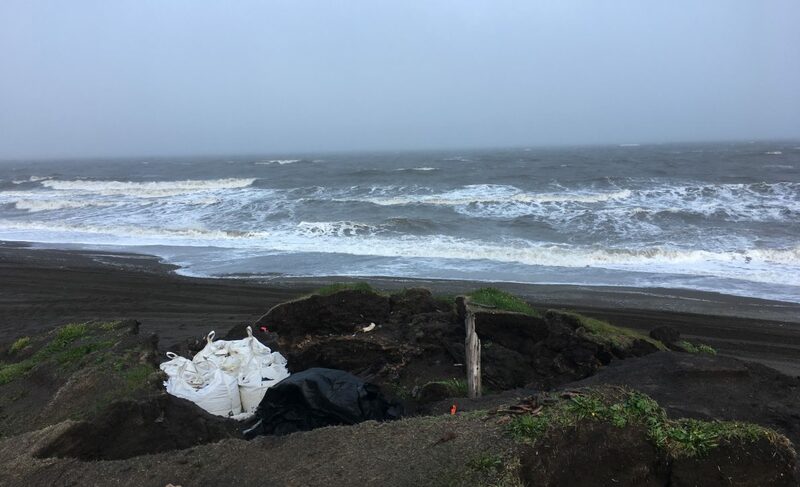 We did get two burials ready for excavation when the wind dies down, which should be tomorrow if the National Weather Service knows what they are talking about. One can only hope. It was so windy that some of the excavators were wearing goggles to remove vegetation, since it was flying into eyes once loosened. The gravel they were removing was flying a good 10-15 meters downwind. Since we were shooting and backfilling all the STPs that were open, that took care of a bunch of them without shoveling! I took some video with my iPhone, but I think I need to get an upgrade and figure out how to use it before I can post it. We came in after lunch, since we had nothing left we could do in the field. Previous Previous post: Black Powder! !